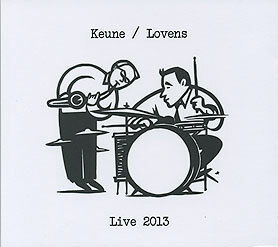 Stefan Keune, sopranino, alto and baritone saxophones; Paul Lovens, selected and unselected drums and cymbals. Brussels recorded at Studio Grez, Brussels; Munich recorded at Munich Underground, EinsteinKultur, Munich. Design (front cover reproduced above) by Kris Vanderstraeten.